It's been a few Fridays since there has actually been a flashback. Some of that comes from lack of preparation and most of it comes from my image library being gone. Right off the top of my head I've got four other topics I could bring up, and more if I really thought about it. However I think it's important to return to some normalcy and post a flashback. The other stuff can wait until later, who knows with no Kentucky or Dolphins games to watch this weekend I might even get around to posting something on Saturday or Sunday. How did you like that, I am getting all high tech and stuff. That was just a test I'll work on something better. Alright on to today's Flashback. Today's shoe comes from the mid 90's my guess is sometimes around 1994. It features the Chevron in the star logo, along with React juice. You just don't get shoes like this anymore. You just have to love the 90's and how crazy the designs got. 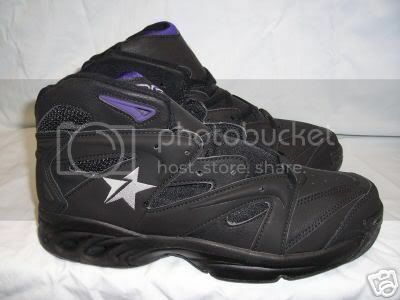 Granted this black/black/purple colorway is not that crazy, the actually design is very loud. 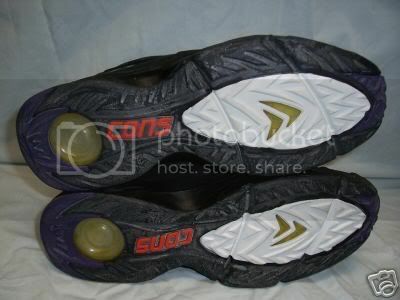 From this picture below you can see that this was a shoe for Kevin Johnson. From the picture of the outsole you can see the React Juice in the heel and in the forefoot. 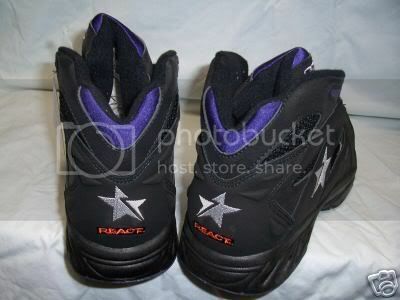 This is the similar React heel found in the Run n Slams that KJ made famous. Well I wish I knew more about these, but I honestly when I saw them on Ebay it was the first time I had ever seen them. So if you know anymore about them please let me know, I'd also like to find some more colorways too. I miss React something fierce and I hope someday it will return. Regardless we just have to enjoy the gems of the past and embrace the future. Thanks for stopping by and if you've got a second please click on ad on your way out, I'd really appreciate it. James, I am currently working on a story for my fashion Blog Apples & Pears about Sneaker Collectors and will be linking in your site. Do you have any input that you would like me to include? 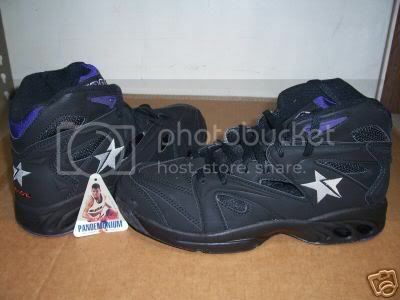 This was a great shoe it was light weight great for guard play I loved them...but it still not as good as Sprewell's Cons in the 90's now that was an awesome shoe. 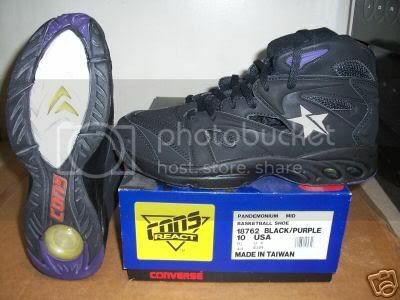 Converse also needs to bring back Energy Wave React and Helium back to the heels of their shoes. Not to metion the Star Chervon logo. I used to have them, like 15 years ago when i was young :). Afaik they didnt last that long, but for a year or 2 they were just great. 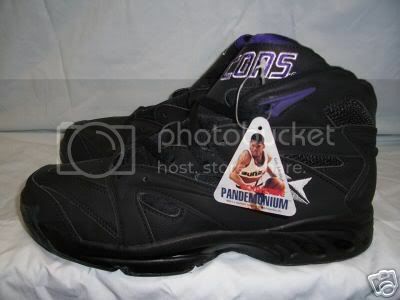 Aroudn that time, i think before the cons, i had the Air jordan 7.
they were okay, but nothing like the cons really. The cons just fit perfectly.